This package has everything you need to get started. 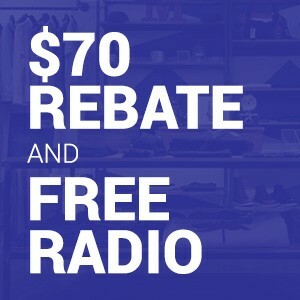 Buy 12 months of SiriusXM Music for business service and get a free Grace Digital GDI-SXBR2 player! And for a limited time, you're also eligible to receive a $70 mail-in rebate when you buy this package.